Happy New Year! This more or less is my first review for the year. Yaaaaaay! So I received a box of L'Oréal Excellence Ultra Lights last year. I was curious to try it, but I was a bit unsure as I had bleached hair. I asked around as to whether this would be okay for my bleached hair, but was unfortunately told that my hair might become orange if I used this. 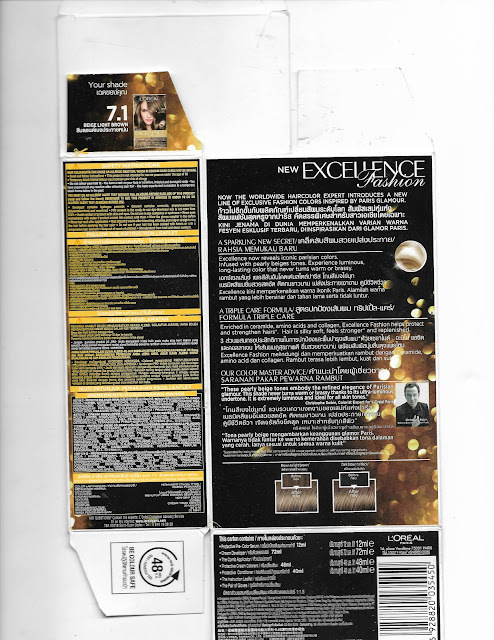 Excellence Lights is really good for those with virgin hair that really need a very noticeable lift and lightening. But for those with rebonded hair, and for those with bleached hair, it is not recommended. 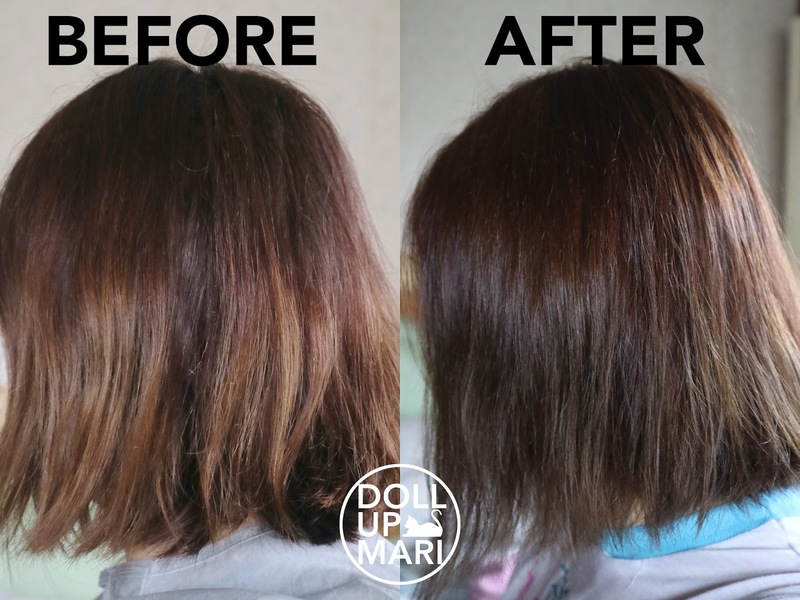 Bleached hair already has been lifted (as in some of the color pigments that make it dark have been lifted off). Lifting even further might get to orange because brunettes, by nature, have orange underlying pigments in their hair. That's why I'm doing an ash review today, but I'm reviewing their other dye that can be used on bleached hair. 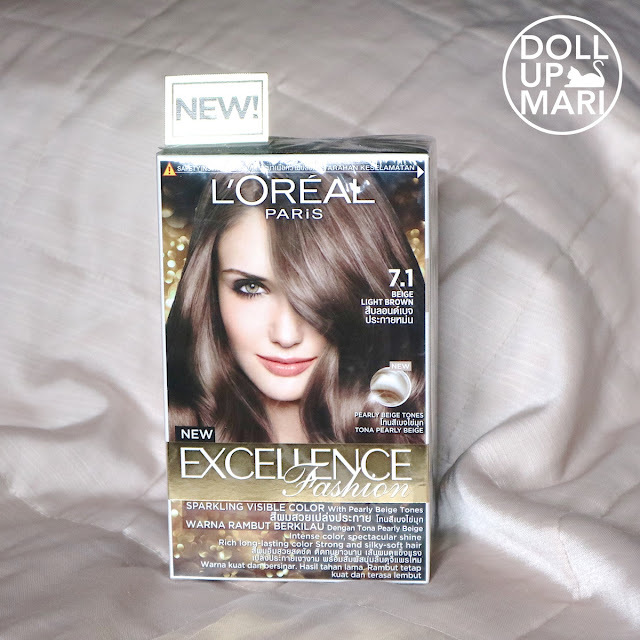 This is their Excellence Fashion hair dye in 7.1 Beige Light Brown. This is the usual Excellence, and has a different formulation. Ultra Lights has a special formulation to really amp up the lightening. This is generally good at keeping hair nourished and damage free, and if it can be trusted to cover grey hair well, then it's pigmented. I have used this before and the last time around, I was satisfied with the results. This is very straightforward. From left to right, there is the creme developer, protective pre-color serum, hair protectant, and hair treatment. You're supposed to mix the developer and the colorant to dye your hair. 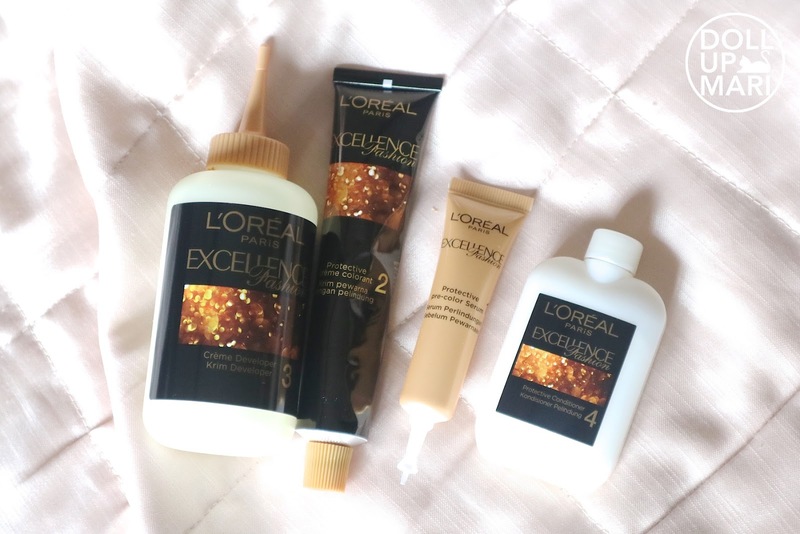 The protective pre-color serum is a L'Oréal exclusive because of all the dye brands I'e tried, L'Oréal is the only one with this. 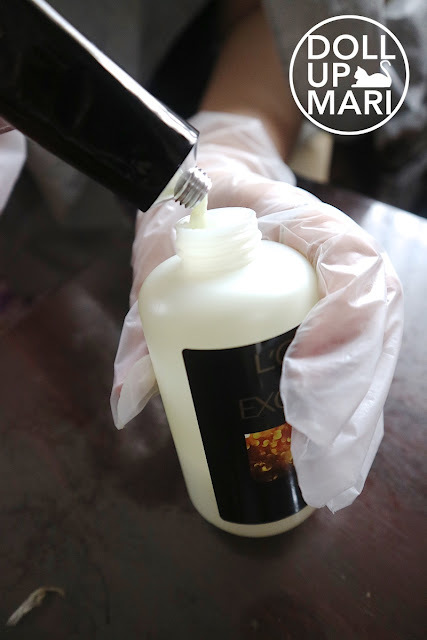 Most dye brands have a treatment for use after the dye job, and after you've washed off the dye. 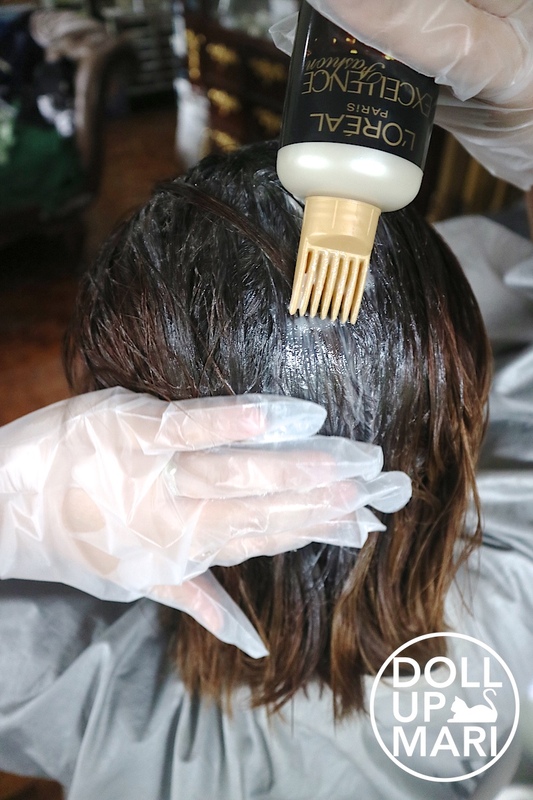 This pre-color serum is applied to the hair before the dye job begins, is not washed off, and is left in the whole process. 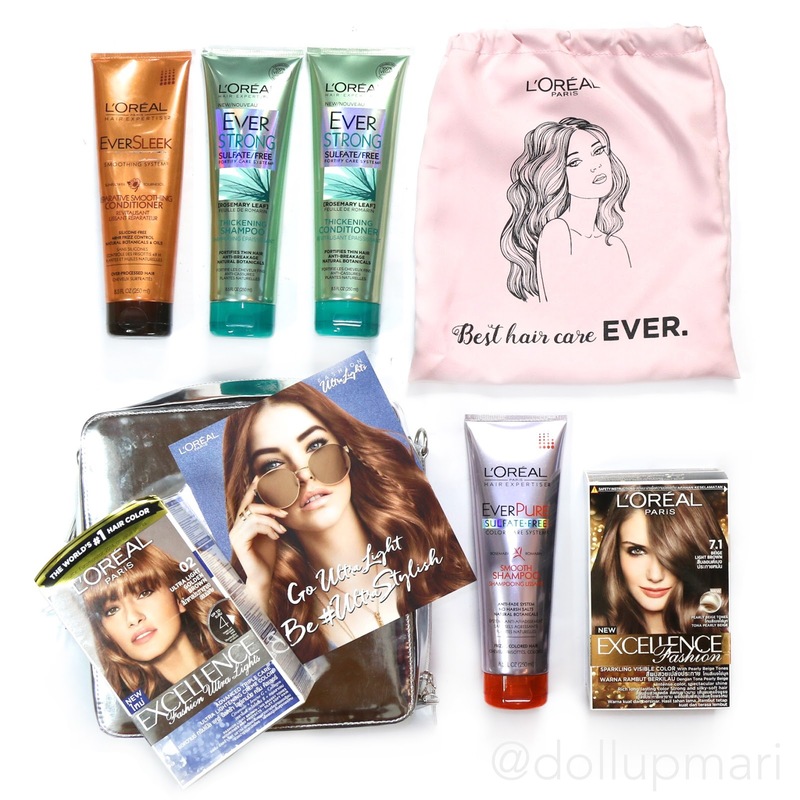 You cannot just randomly use any conditioner to leave in your hair during a dye job, because there is a big chance that if you put dye over hair with just any conditioner or serum, the dye won't take effect on the hair. Hair dye needs hair that's oily and not wet in order to be able to have a good traction. 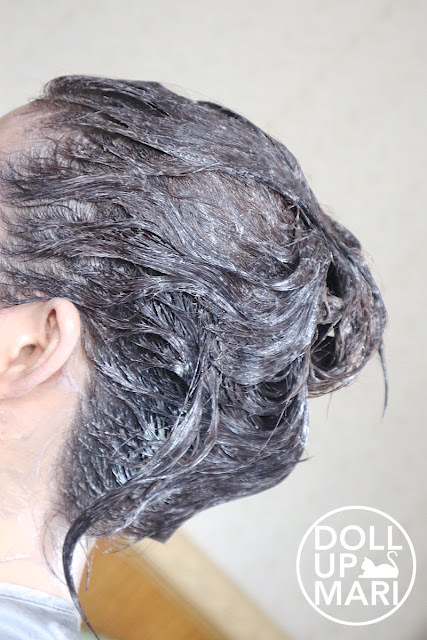 Wetting your hair at random, or applying any conditioner which may have a high water content or may have a contradicting formula, may affect the traction of how well the dye will stick. That's why their pre-color serum is special. So I just basically sat down and applied this. My mom's advice is that whenever possible, dye your hair against natural light because natural light will help you get an even job. Try to do it during daytime, because at nighttime, you may not see the patches you may have missed, even when the lights are turned on. And then squeezing in the contents of the colorant tube into the creme developer bottle. Since this is a creme type dye, you can shake it. There are newer foam type formulas that prohibit shaking to prevent building up too much pressure in the bottle. And then the rest of it is applying the product onto the hair. Generally, I just applied it evenly and didn't section anymore. My hair is super weird that I don't even understand it anymore. The last 3 inches of hair are bleached, so those 3 inches, no matter what I do, no matter how I have it colored, it will just spit out the pigments applied. Especially if I swim or go to the beach. We've tried dyeing over it for a short amount of time and a long amount of time, and the end result is that it still will wash out all the color within 2 weeks. I applied the color, and then had my mom help me get it done evenly. I dunno if it's just me, but my feedback even from before is that this dye is a little bit inadequate in amount. I dunno if it's really inadequate, or perhaps has a thicker formula, that even for someone with a bob (technically it's a long bob, but hey, my hair is still waaaay shorter than most people's hair), it took some effort to make sure my hair was evenly coated. And when everything is coated, it's not a generous kind of coating, but instead a very thin layer of dye coating the hair. I know that most dyes have 'serving sizes' of shoulder length hair, but even with a bob, it still felt a little inadequate. I really recommend that if you're using this brand, have someone help you or check your head to see everything is evenly coated. 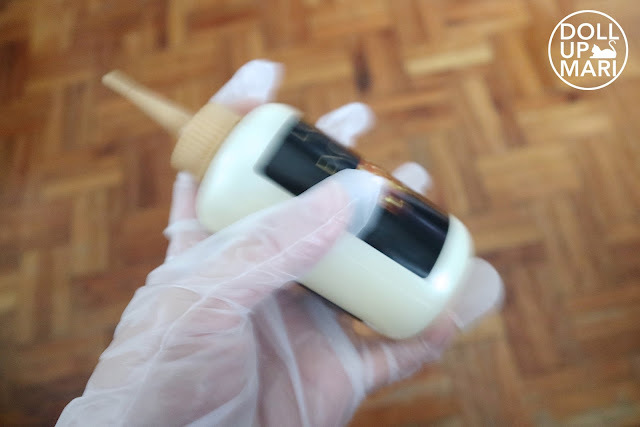 Sometimes, it's hard to see when there may be uneven application, and given that this is not going to coat your hair very generously, every drop counts. If your hair is long, I also urge you to get two boxes instead of one in order to prevent uneven results. My estimate is that more or less every 8 inches of hair needs 1 box of this. Thanks to mom who massaged in the dye and helped to get things to coat evenly, I didn't have to worry. So for the before and after, you can see the difference the most on the last 3 inches of hair that was bleached. From a golden-brassy tone, it became ashy, and evened out with the rest of the hair. I was really pleased with the color of the result because ash is so tricky. It takes a very skilled colorist to be able to customize an ash that looks ash and looks good on the person. Most of the time, when people ask for ash, they get a neutral brown. Neutral brown is different from ash, so ash is its own breed. And then there's also the cooperating issue. I have been so frustrated about ash because I'd ask for ash but then the stylist would mix up whatever dye was remaining, put it on my hair, and of course, the results were not ash brown. How do you get ash from mixing random expiring dyes? In nighttime lighting, this is how it looks like. I'm honestly really happy with how it looks on the bleached part! It looks so sophisticated and elegant. I wish I had known about this sooner because I had such a hard time trying to go to all sorts of people to make my bleached hair ash only for it to end up looking like a chocolatey brass. I'm happier about the fact that since this is a boxed dye, the results are replicable and predictable. Ash is so tricky that I really appreciate that there is something in the market that got it right, is easily accessible, and affordable. The other new product they sent in with their Excellence Ultra Lights was their Ever Sulfate free haircare series. I am sooooo in love with these!!!! Thus far, I have noticeably been able to keep dye jobs looking fresh for weeks, and my bleached part not washing out of color too soon, because of this line. The scene is to die for! I am also suuuuper stoked that unlike most sulfate free formulas, this has a very very good lather. If someone literally handed this out of nowhere without any labels, you'd never know it was sulfate free because of the super rich and foamy lather. 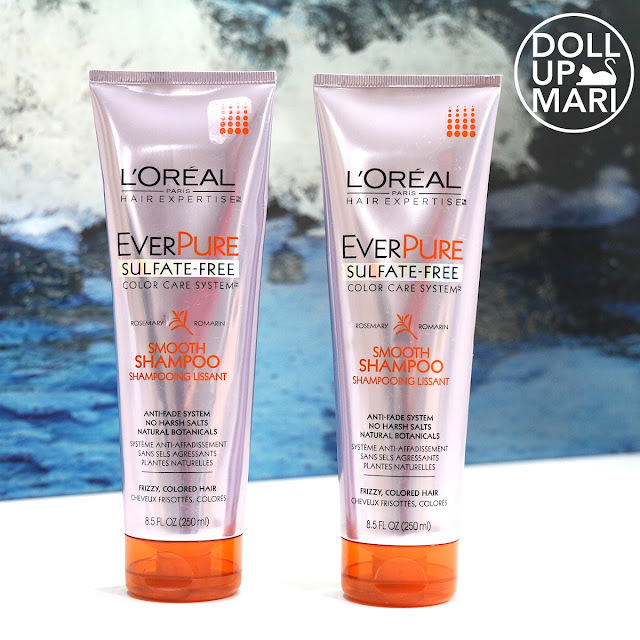 I do have sulfate free shampoos of other brands, and what happens is that the product is not foamy, leading me to use up a bottle too quickly. To add, when it's sulfate free, it sorta is too frictional on the hair. 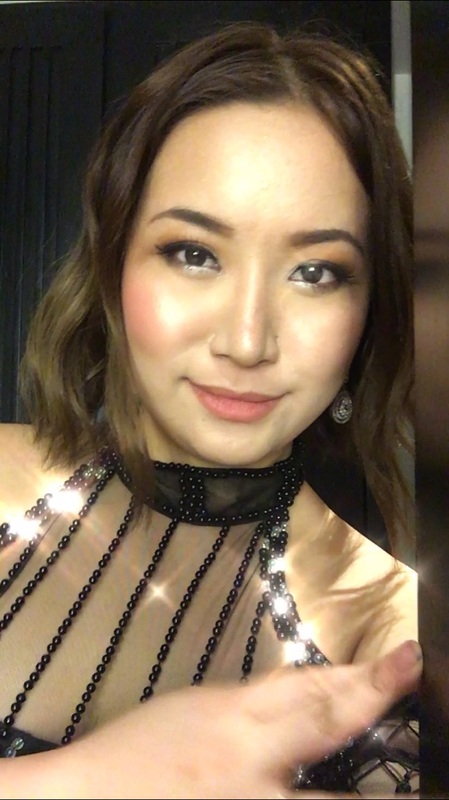 There's no glide to it that my hair ends up getting tangled, subsequently snapped and damaged, and of course, the result is it's rough and dry. I may have kept the color frozen in time, but my hair's texture really just didn't work well with other sulfate free formulas. I guess partly, is's because other sulfate free lines mainly just tackle color retention. 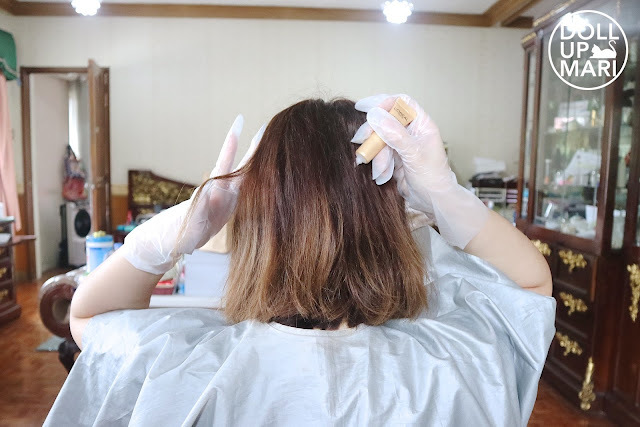 They do not tackle repairing the hair, nor do they come with the fundamental understanding that if you are looking to pay so much money for sulfate free haircare, it means you have done damaging chemical processes that would warrant the need for such specialty haircare. And this is where I got lucky! I was shopping at Landers a week before a sale, and I was wondering why a whole box of EverPure shampoo is already at 50% off. I found it weird to see these on sale because they were so new (as a product line), the sale was still a week away, and they were too good to be on sale. Turns out, some tubes had popped, making the whole box sticky, and some tubes a little underfilled. I was unaffacted because, hey, this is shampoo! The moment I got home, I washed off the sticky residue off the tube, displayed it on my shower, and voila, it looked like its usual self again. I have been using this the most thus far out of the Ever series, and I am so glad I hoarded. I usually need to desperately have my hair trimmed because of all the split ends that formed every 2 months or so, but with several months of using this, the need has lessened. 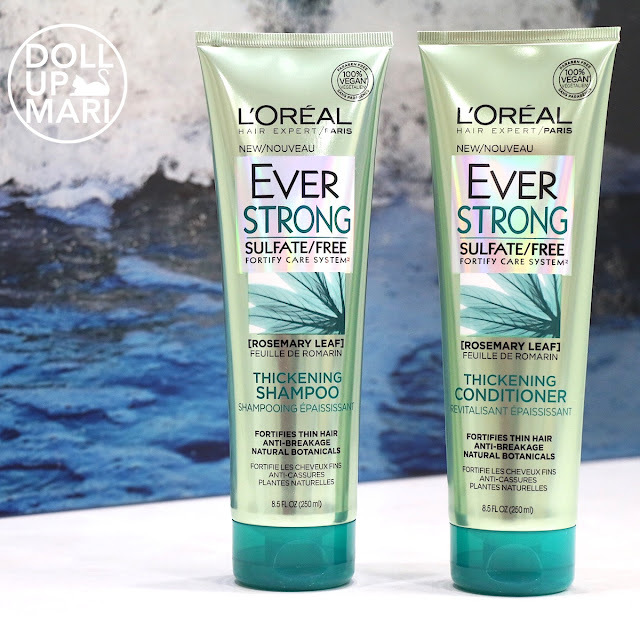 Bleached hair really just deteriorates and deteriorates and in the end will need to be cut off, but thankfully, this shampoo has helped to curb the damage and slow down the degeneration somehow. So yaaay, that's it for today's hair adventures! Find these items at leading department stores, Watsons stores, and on Lazada. *Disclaimer: I purchased my Excellence Fashion dye and EverPure shampoos. Ang gnda po ng hair color nio bagay n bagy sa inio Ms. Mari now i know wat type I'm gonna use....ang gnda kc ng knalbasn! At mukhng hndi rin mahihirpn ang mgkukuly skin s bahy! Wow! 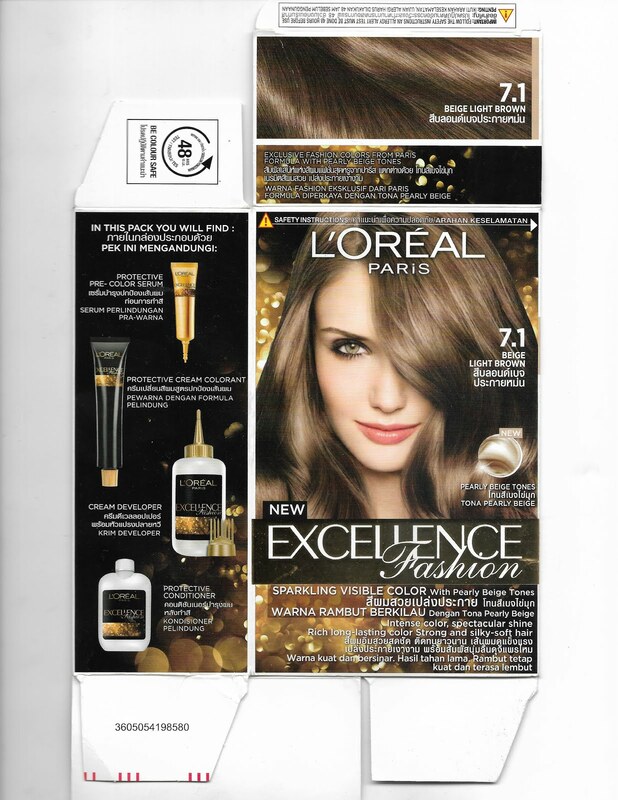 Love to try this new product from loreal madam. Mukhang maganda po kasi yun shampoo and conditioner, at ang cute pa ng packaging.. The best!